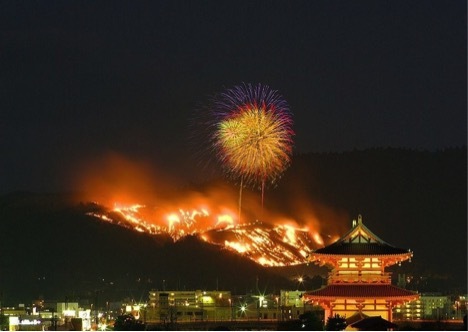 Instead of using firework display to celebrate their festival, people from Nara city in Japan set a whole mountain ablaze. 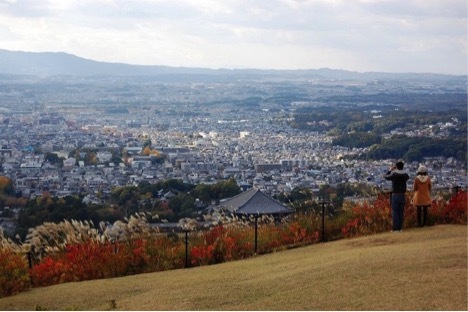 Nara is the former capital of Japan till year 784. 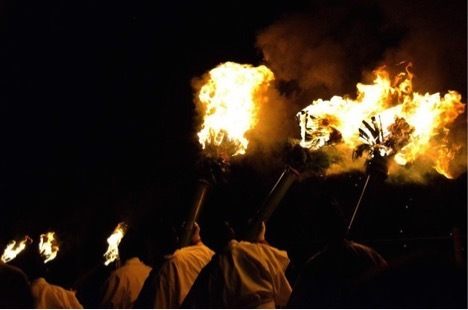 One of the most famous events of the city is the “Burn the Mountain” festival: Wakakusa Yamayaki. Wakakusa is an inactive volcano in Nara. On top of the mountain, You can have the view of the whole city. 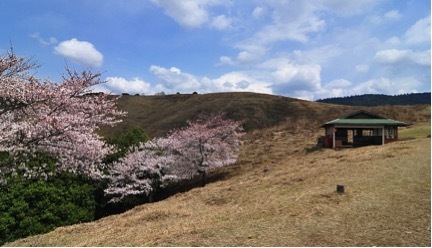 Generally, the mountain is covered with grass and cherry trees. 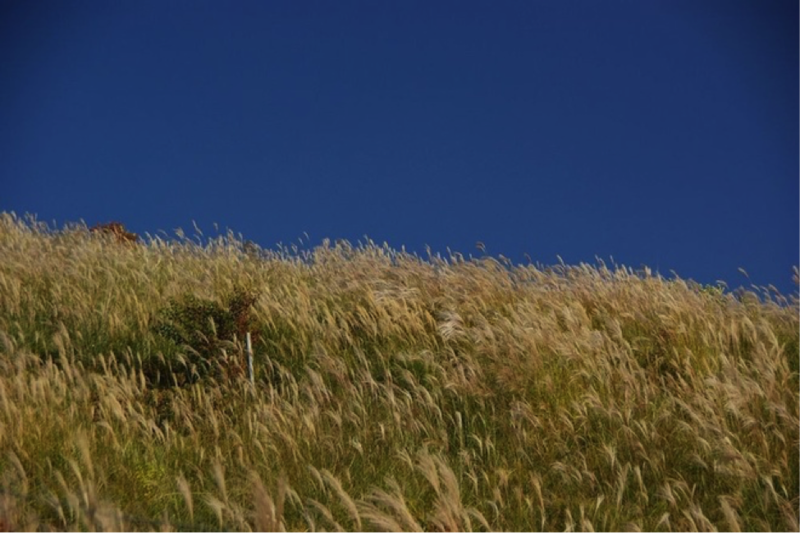 The famous Wakakusa Yamayaki start in January when grass becomes yellow and the cherry blossoms start to fall. Wakakusa Yamayaki is celebrated on Saturday of the fourth week of January. The origin of the festival remains unclear; many say that it begin from the dispute over ownership of the mountain between Todai-Ji temple and Kofuku-Ji temple in 1760. The two temples failed to reconcile and decided to burn the mountain to end the dispute. 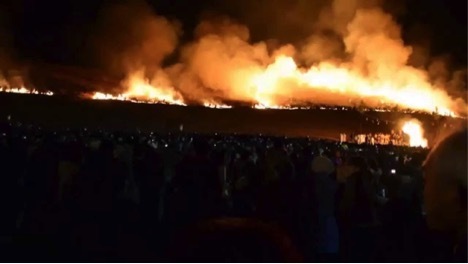 Another tale says that the festival is originated from an old custom of Nara people: burn the mountain to fend off the wild hogs living there. Nowadays, the festival is held in three temples: Todaiji, Kofukuji and Kasuga. 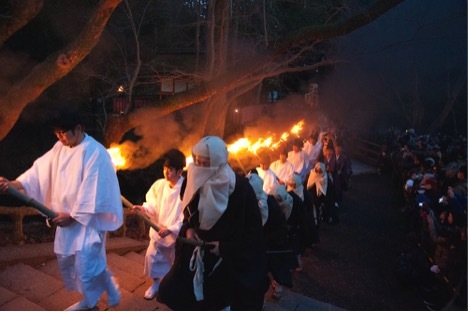 A torch will be lighted in Kagusa temple then carried to the foot of Mount Wakakusa where the bonfires are set. 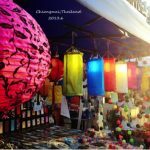 On 18 o’clock sharp, the festival begins with a firework display. 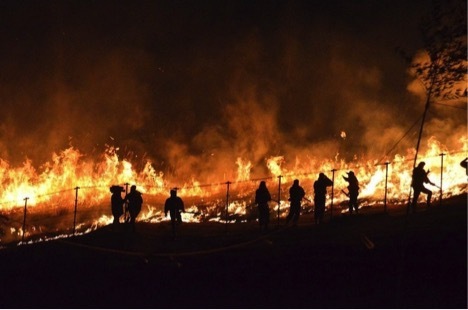 When the firework display is over, it’s time for “Burning the mountain” ritual. The length of the ritual is from 30 minutes to 1 hour depending on how dry the grass is. 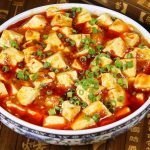 The blazing mountain can be seen from any place in the city.